A way to specify component-based software architectures for embedded real-time systems is introduced. Component models are specified taking the Model Driven Architecture (MDA) approach, and employing UML notations. First, the principle of the developing process based on the MDA approach and the new concepts of UML-specified component architectures are addressed. 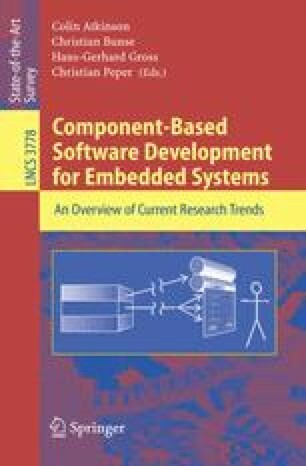 Then, a conceptual framework architecture for the design of embedded real-time systems is presented, in which platform-independent component models are built. Taking specific platform features into regard, specific component models result from transformations mapping the platform-independent component model to either the Process and Experiment Automation Real-Time Language (PEARL) or to Function Blocks according to IEC 61131-3 or IEC 61499.